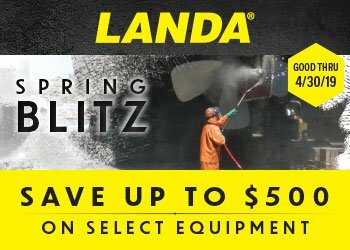 If you’re tight on space but have big cleaning needs, the Landa ENG Series of pressure washers is the perfect machine for you! The ENG series are electric powered, natural gas or LP heated, Stationary, belt driven pressure washers capable of up to 3200 PSI and 9.5 GPM. The vast majority of models is based on volts, phase, amps and choosing between natural gas heated or liquid propane. 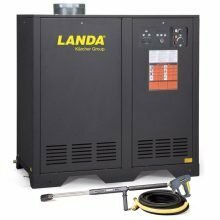 Electric powered, stationary, hot water pressure washer. Electric powered, 3000 PSI, 3.9 GPM, 208 volt pressure washer. Electric powered, 3000 PSI, 3.9 GPM, 575 volt pressure washer.